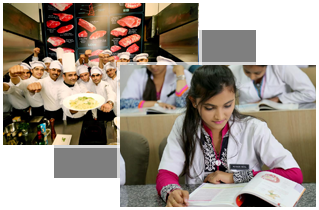 Bachelor in Hotel Management & Catering Technology (BHMCT) 10+2 from any Stream 4 Yrs. B.Sc in Hotel Management(BScHM)* 10+2 from any Stream 3 Yrs. Diploma in Hotel Management 10+2 from any Stream 2 Yrs. Master of Tourism & Hotel Management(MTHM) Graduation in Any Stream 2 Yrs. Trade Diploma in Hotel Management(TDHM)* 10+2 from any Stream 1 Yr.
Ph.D (Hotel & Tourism Management) Post Graduation in Tourism / Hotel Management Minimum 3 Yrs.